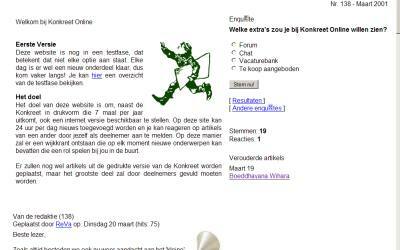 This entry was posted on 19 July, 2008 at 18:23	and is filed under Aktie, cultuur, Idee, Internet, Kunst en uitgaan, Leefbaarheid, Media, Muziek en Literatuur. Tagged: bewonersorganisaties, eindredacteuren, Internet, konkreet, webfotografen, webredacteuren, wijk, wijkkrant. You can follow any responses to this entry through the RSS 2.0 feed. Both comments and pings are currently closed.